This 72" x 36" x 21" rectangle tub is designed with an end drain for maximum leg area. A 45" long bathing area is provided for stretching your legs out. 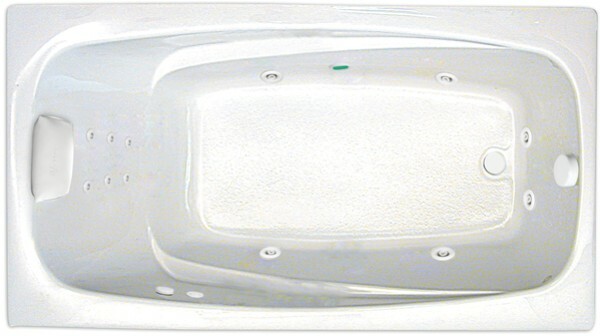 This is the perfect drop-in tub as a soaking tub, whirlpool or air tub. In fact there are 11 tub styles offered. Choose a whirlpool for a deep tissue massage, an air bath for a bubbly caress or have both water an air jets. Jets aren't your style? 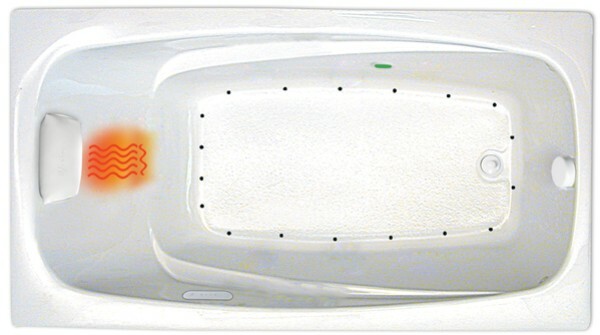 Relax in a Soothing Soak while the recirculating pump and heater maintains the water temperature.